Say Hello To The New In Colours From Stampin’ Up! 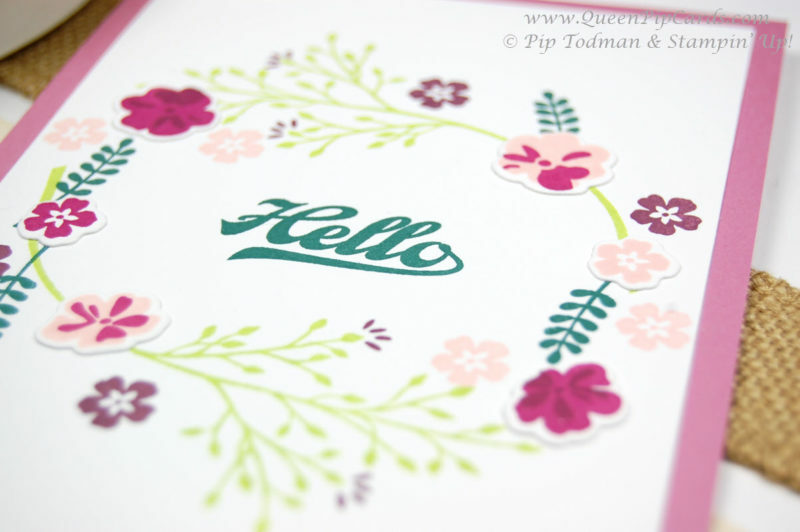 Good morning, today I want you to say hello to the new In Colours from Stampin’ Up! for 2017 – 2019! I know this is a little early, but I love them so much and 3 have already been “let out” with the Eastern Palace suite. I thought it was about time for you to say hello to the rest of the gang! This card uses the Jar of Love stamps and Everyday Jar framelits to make a wreath in all of the new In Colours to say Hello! I’ve given you a way of telling which is which in the brackets by each name! I am officially in love with them all! I know you soon will be too. To make the card I stamped the biggest floral spray first in Lemon Lime Twist. I then added the other leaves and flowers around in a circular shape. You can draw a circle in pencil on your card base if you like to give you a guide & then rub it out later. I die cut out the smaller pair of flowers and added them onto the wreath to give it a little more layering. You can use dimensionals too if you wish to give it a little bit of lift. I stamped the Hello in Tranquil Tide. If you would like to say hello to the new In Colours in person, then either Book Now for my Catalogue Launch Event by clicking this link or the Book Now image below. Or if you cannot come to my launch in person but would love to receive the new catalogue then email me now. Email me at pip@queenpipcards.com and request a catalogue, I will be posting them out at the end of May. Why not try making your own wreath cards in the current colours you own and then purchase the new colours on 1st June and say hello to the new In Colours at home shortly after!